It's never pleasant when you pour milk into your cereal and discover too late it has gone south. A half gallon, no less! 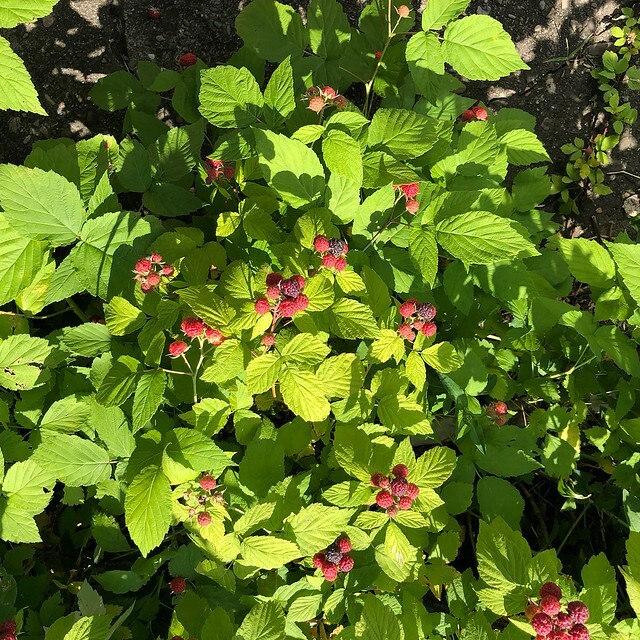 We have been working hard picking berries all week. 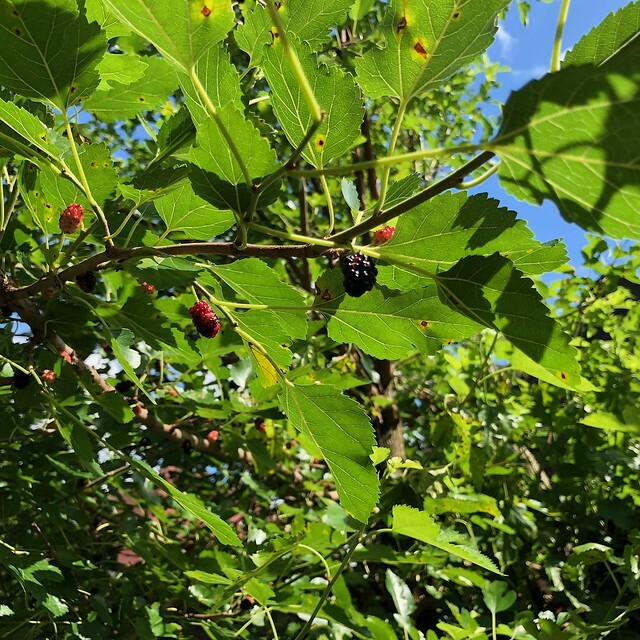 The mulberry started first, then the black raspberry, and slowly the red raspberry. Of strawberries, there are only a few, here n there. Going to use up my curds and whey. Just pretend its yougurt. I was afraid the dough would be too runny but it seems okay. In a bit, there will be a treat. I am hoping I can eat it. Eggs in any form don't agree with me. But the rest of the family can enjoy. 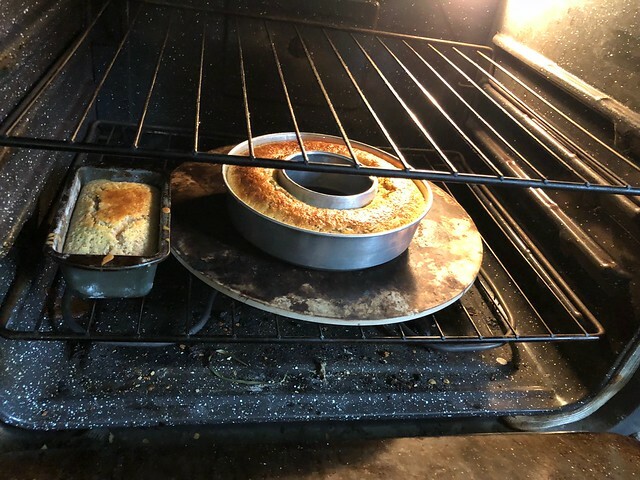 Since there is only one coil in the oven, I am going to have to flip it soon. Today is rainy so the solar oven is out. It would have done a better job.